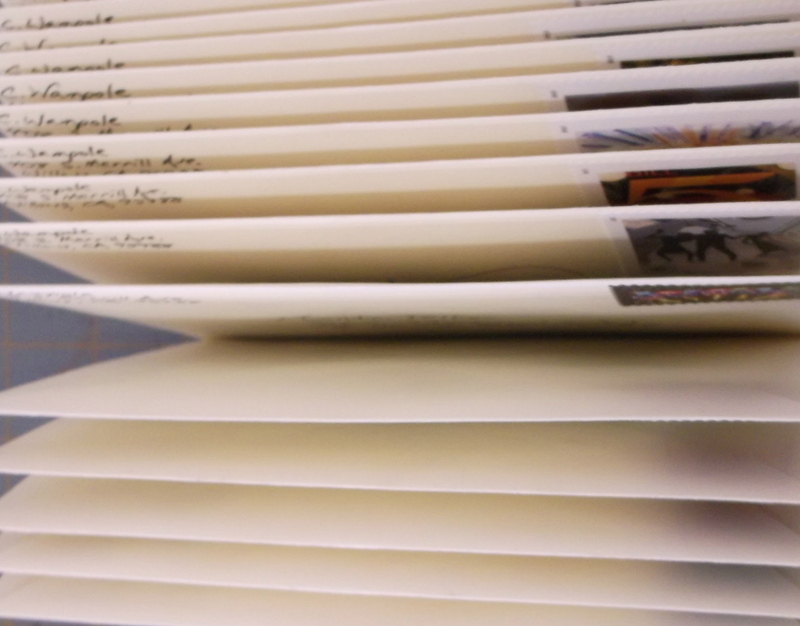 The first round of correspondence art went out last week. Each card was both part of a series and unique. The closest term I can think of is the printmaking monotype. Even the woodcut relief prints of shell-shaped madeleines were slightly individual because each was printed on a different page from Marcel Proust’s Remembrance of Things Past (Vol. 1: Swann’s Way). 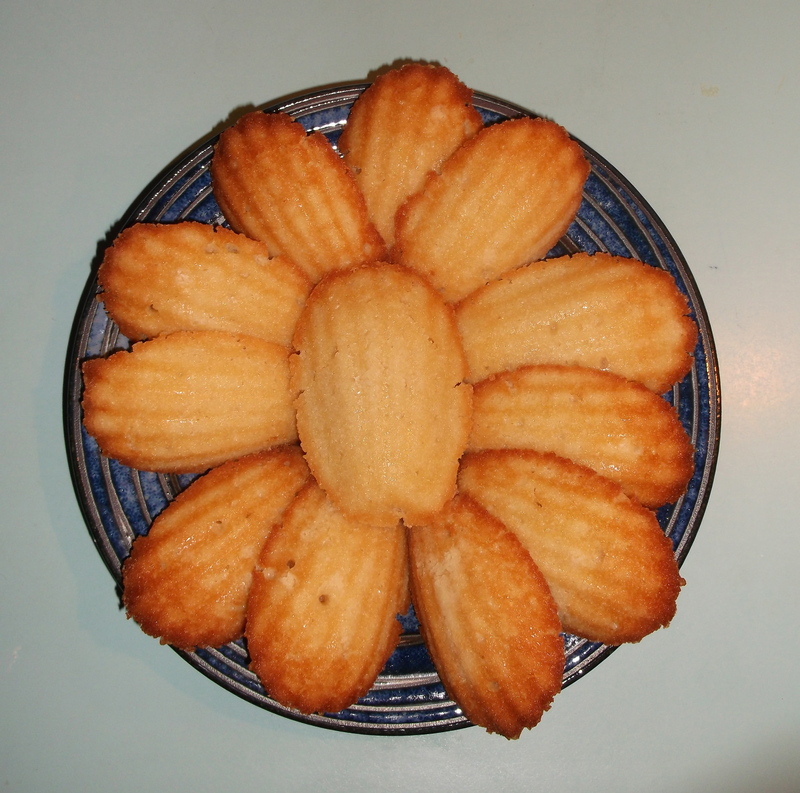 It contains the famous madeleine passage. 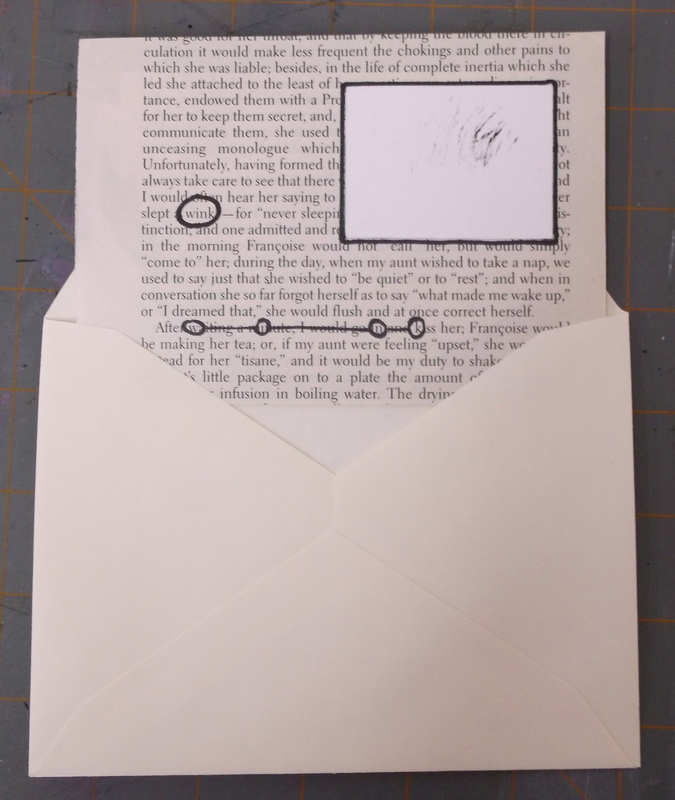 The bittersweet quality of non-digital correspondence fascinates me. I’m a peripatetic homebody; I seem to move at four-year intervals (whether from one part of town to the other, one coast to the other, or just temporarily between states for school). Seeking out pen pals has always been part maintaining equilibrium. My primary goal for this project is to avoid falling off the face of the earth this term. 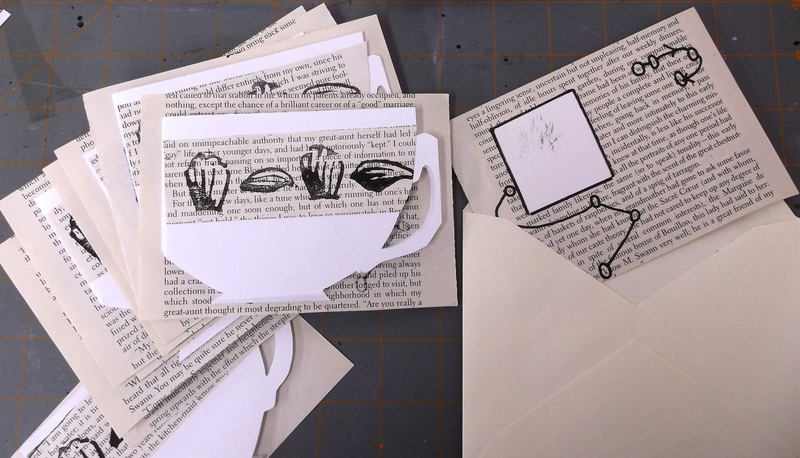 I have committed to sending out at least one round of mail art each month, but I have neither sketches nor mock-ups for the next round. Why? I want it to be a response to the communication (or lack thereof) and experiences (or lack thereof) during the interval between mailings. 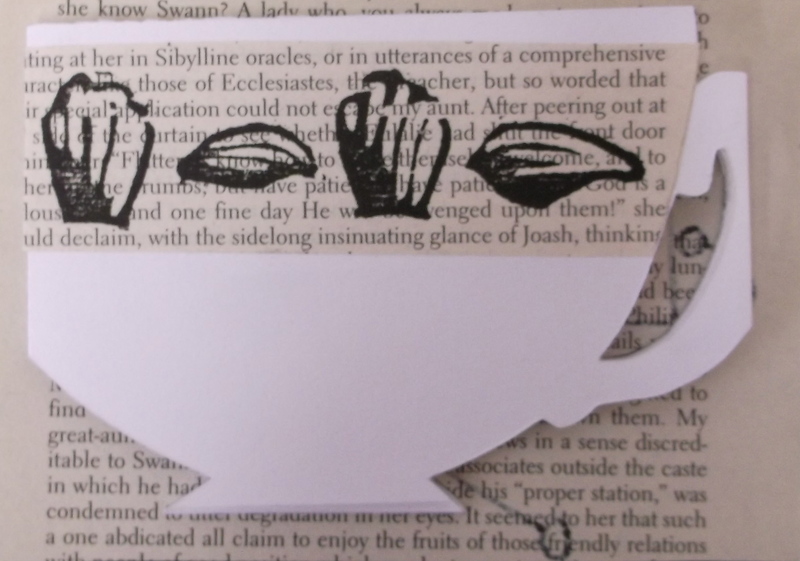 Even if there are no responses, however, this is a useful way for me to experiment and actually employ some of the paper-based techniques that I love but never use.